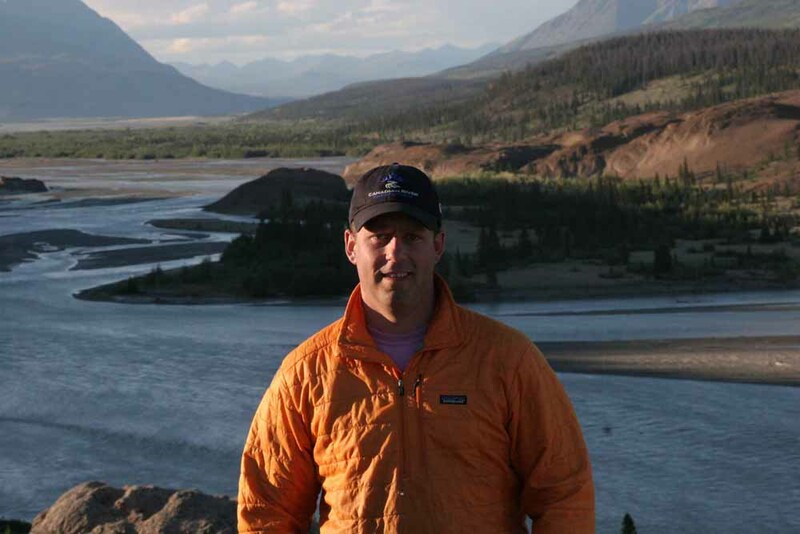 I first began working as a River Guide in 1999, but started working with Canadian River Expeditions in 2005. I can most often be found guiding the Tatshenshini, Alsek, or Firth but have experience on the Babine and Chilko as well. In my rafting career I have guided people safely off of waterfalls up to 21 feet high, down the Mighty Zambezi River’s class 5 whitewater and through the crocodile and hippo infested waters of Ethiopia’s Omo River. I got my start in paddling with my family growing up, and when I couldn’t agree with my brother where our canoe should be in the river, I began kayaking to become captain of my own ship. I then began guiding rafts as soon as I was old enough to get my guides license. One of my favourite things in life is to see and experience a river for the first time, and one of my favourite things about guiding is to see other people have that experience too. I feel privileged to guide trips in the pristine and protected areas that CRE offers. I look forward to a season with CRE every year for many reasons, including the animals, the daylight, the ice and the people. Some of my best friends are guides for CRE, and the guests on our trips always share a passion for the outdoors.